Our ever popular Caribbean meals served across the fine food markets of London and Surrey, are now available for you to order online as ready meals. You’ll get the same great taste as found at our fine food markets with nothing added and nothing taken away. Because of the many fine food markets we do, we cook from fresh on a daily basis. In response to orders for ready meals, we will simply take part of what is being cooked, rapidly cool it so that it stays fresh, and package in food safe boxes for next day delivery. This will ensure you’ll get the same delicious taste experience as found at our fine food markets. Having sold our Jamaican style patties with great success for years through our fine food markets, we are proud to now have them available for you to order online. What's more our gourmet range of Jamaican style patties are different to what most people know as Jamaican patties. 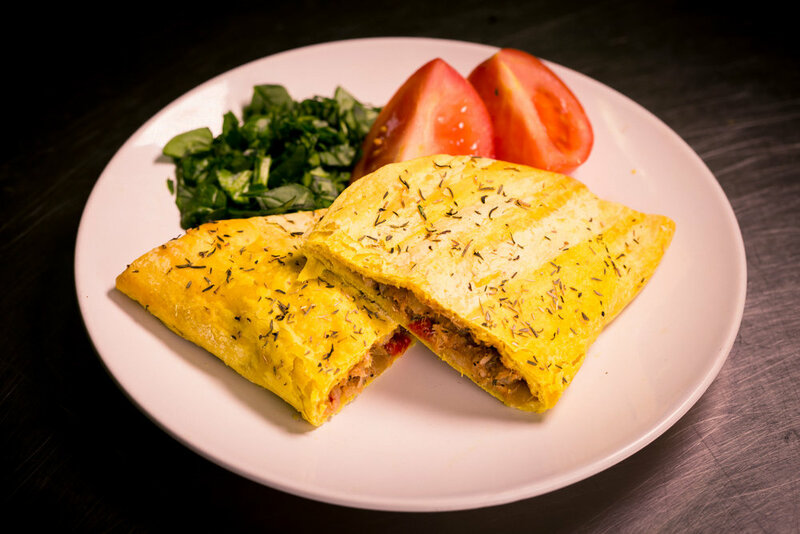 Not only have we made our Jamaican style patties more visually appealing, but they come filled with the main ingredient. So when we say we do a jerk chicken pattie, we mean it is filled with jerk chicken! We do not use any artificial flavourings, colourings or preservatives. And yes, you can be sure we don’t fill with breadcrumbs either! Freshly baked to order, all patties come encased in a thin crust pastry and are carefully spiced to deliver you a delightful taste experience. Our legendary rum cakes have successfully featured for over ten years at one of London’s finest food markets, Partridges at Duke of York Square, Chelsea. With a wide range to choose from, they make a perfect match for any celebratory occasion or simply to be enjoyed amongst family and friends. We have dairy* and gluten free options as well as vegan rum cakes to choose from. All cakes are made in the same environment. Whilst some cakes do not have nuts, dairy, wheat or gluten as part of their ingredients, they may contain traces of such ingredients. If further information is needed feel free to contact us. © 2017 Rummanco All Rights Reserved.